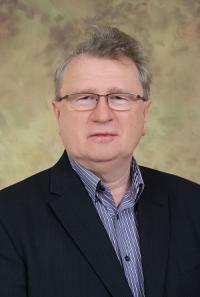 Dr. Halmai obtained PhD in economics and he is the Doctor or the Hungarian Academy of Sciences. His main fields of research are international economics, the economics of the European integration and the common agricultural policy of the EU. He is an acknowledged expert and consultant in the fields of trade policy, agricultural policy, the reorganization of corporations and commerce. Dr. Halmai is the member of the professional organizations EEA, EAAE, ECSA and the president of the Hungarian European Union Studies Association. The mission of the department is to provide education and training for current and prospective members of the foreign and government services in public administration in the fields of international economics, foreign trade policies, as well as EU trade and financial policies. The Department of International Economics and Public Policy Studies has been founded upon a comprehensive approach to international economics, building on the synergies of disciplines bordering public policy, with a strong emphasis on political economy, policy analysis and public management applied to the problems of governmental administration. The education provided by the department is based on qualitative research that focuses on the application of theory to practice. This effort is currently framed within the Bachelor (BA /BSc) and Master (MA /MSc) programs offered by the Faculty with prospective participation in the university’s PhD programs and the future development of an interdisciplinary Doctoral School. Two Bachelor programs in International Public Management and in International Security and Defence Policy, as well as three Master programs in International Relations in Public Service (both in Hungarian and in English) and Security and Defence Policy, including specializations to law enforcement, security studies and European studies all require an insight to international economics which is provided by the department.